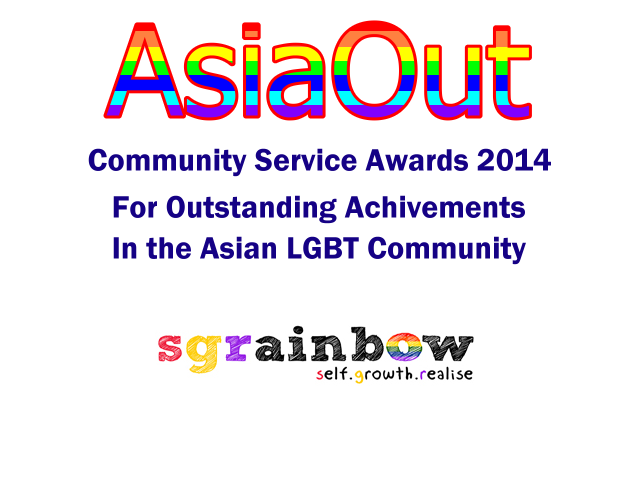 We are pleased to announce that we are awarded the Community Service Awards 2014 for Outstanding Achievements in the Asian LGBT Community by Asiaout. 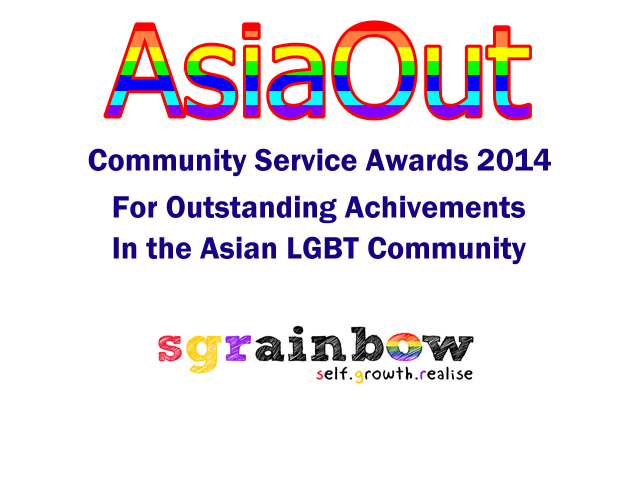 On 14 February, an appropriate date for our first birthday, Asiaout celebrates by recognising those who have made a significant and positive difference to the lives of LGBT in Asia. The awards recognise and give thanks to those organisations that have done so much to support, encourage, and help the Asian LGBT Community through health education, and activism. Another Singapore recipient of this award is Pink Dot SG.